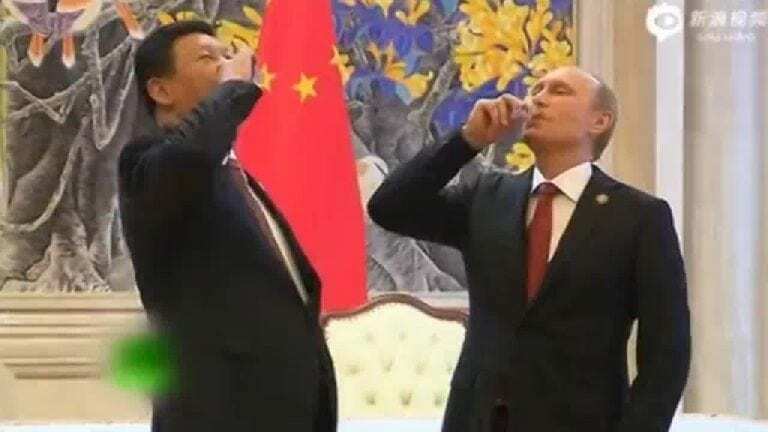 Pictured above, Presidents Xi Jinping of China, on the left and Vladimir Putin of Russia, on the right. 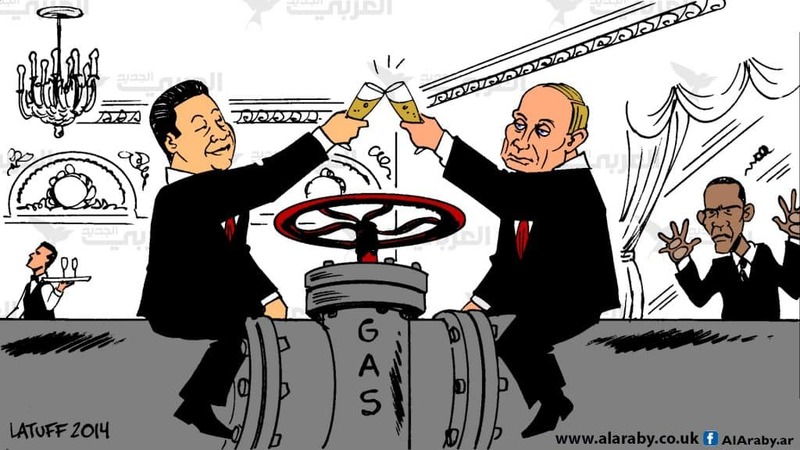 The Power of Siberia gas pipeline connecting Russia and China is just one many projects being brought to fruition by the two giants of the Eurasian continent. Cheers! There are a number of others. These include Cuba (http://chinarising.puntopress.com/2013/12/03/cuba-for-the-misinformed-facts-from-the-forbidden-island-a-book-review/), Eritrea (http://chinarising.puntopress.com/2017/06/14/africas-cuba-thomas-mountain-reports-on-life-in-revolutionary-eritrea-170612/), Latin America’s ALBA group (Bolivarian Alliance for the Peoples of Our America), Serbia (http://chinarising.puntopress.com/2016/11/05/the-dark-skinned-exploited-peoples-of-the-world-are-calling-the-west-for-what-it-is-racist-china-rising-radio-sinoland-161105/) and Hungary. Others, like Thailand and Cambodia are also quietly piling on (http://landdestroyer.blogspot.hk/2017/11/pivot-to-or-brawl-in-asia-west-already.html). Now, Baba Beijing is getting more outspoken (http://chinarising.puntopress.com/2017/08/26/baba-beijing-is-sick-and-tired-of-the-west-using-hong-kong-to-overthrow-the-cpc-china-rising-radio-sinoland-170821-2/) and forthright about defending its sovereignty. Just this week the People’s Liberation Air Force (PLAF) flew practice bombing runs near America’s Pacific colony, Guam (https://www.defensenews.com/flashpoints/2017/10/31/china-has-practiced-bombing-runs-against-guam-us-says/). All this forthrightness and these vocal demands in the public sphere would have been unimaginable even a year ago. That’s how fast the geopolitical tectonic plates are shifting out from under Eurangloland’s, jack booted feet. Let’s dig deeper into this Anti-West war against Eurangloland, by checking out a few of this week’s headlines. 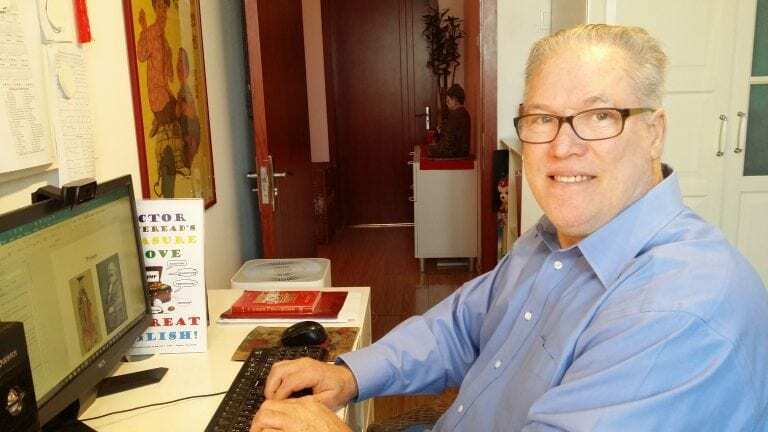 As Tony Cartalucci and I discussed, the reserve status of the US dollar around the world is America’s Achilles heel, with a bullseye painted all over it (http://chinarising.puntopress.com/2017/11/01/tony-cartalucci-land-destroyer-talks-about-baba-beijing-on-china-rising-radio-sinoland-171102/). What used to be the occasional comment and limited policy initiative to replace the dollar with other currencies, is now turning into a torrent (http://theduran.com/russia-china-actively-collude-bring-thing-america-cares-dollar/). Hydrocarbon giant and socialist Venezuela has already started to price its oil and gas in Chinese yuan (https://www.rt.com/business/403577-dropping-dollar-venezuela-oil-yuan/) and is seriously working to sell them with a basket of currencies, crippling the dollar’s financial and sanctions tyranny in the process (https://www.telesurtv.net/english/opinion/Will-the-US-Dollar-Be-Yesterdays-Currency-20171023-0004.html). Socialist Iran’s Supreme Leader Ali Khamenei flat told Vladimir Putin this week that they should both dump the greenback (https://www.rt.com/business/408542-russia-iran-ditch-dollar/). Pulling a Chinese Belt and Road Initiative (BRI) card out from his tunic sleeve, Iran’s sage leader also proposed a rail link from St. Petersburg, Russia, on the Baltic Sea to Chabahar Port on the Persian Gulf. Pure genius (http://chinarising.puntopress.com/2017/10/25/how-can-western-capitalism-beat-this-thats-the-rub-it-cant-china-rising-radio-sinoland-171022/). I think it’s safe to say Western companies will not get much of this visionary, international infrastructure project’s business. Anyway, Uncle Sam has his priorities straight, like keeping 1,000 centurions in strategically critical Niger, Northern Africa, where they are getting killed (http://www.mintpressnews.com/senators-learn-us-1000-ground-troops-niger/233691/). The big Anti-West wheel just keeps on rolling, brothers and sisters. Yesterday, Russian Prime Minister Dmitry Medvedev repeated Khamenei’s “dump the dollar” chant, when he met with Chinese President Xi Jinping (https://www.rt.com/business/408425-dollar-dominance-russia-medvedev-yuan/). Putin and Xi also shouted this Anti-West mantra at the recent BRICS Summit in Xiamen, China (http://chinarising.puntopress.com/2017/09/07/brics-is-euranglolands-canary-in-the-imperial-mines-china-rising-radio-sinoland-170907/). There are these loud and proud verbal attacks, and then there is action. China is apparently serious about launching its gold backed petro-yuan, which would compete mano à mano with the petrodollar. But, Baba Beijing is walking a fine line in doing so. If it pushes too hard and too fast, it could conceivably wreak havoc on the world financial system. I am not worried, as this is simply not the Chinese’s style (http://chinarising.puntopress.com/2017/10/23/xi-jinpings-19th-party-congress-speech-is-a-declaration-of-war-vs-western-capitalism-china-rising-radio-sinoland-171023/). Russia and China are continuing to interlock their two economies across the great expanse of Eurasia. After initial, small scale success, the Bear and the Dragon are expanding their currency swaps up to equivalent of $20 billion. This has the fortuitous advantage of completely circumventing Eurangloland’s illegal and ineffective, but vexing financial and trade sanctions (https://www.rt.com/business/195556-russia-china-currency-swap/). The idiocy of the West’s illegal, unilateral sanctions can be seen in another recent development. Russia’s banks are issuing their first bank and credit cards (https://www.rt.com/business/402495-sberbank-payment-cards-mir/). The Mir card will partner with China’s Alipay and Union Pay, the latter which in 2014 became the world’s biggest bank card, surpassing Visa and MasterCard (http://travelpaymentsdirect.com/visa-loses-worlds-top-debit-card-ranking-china-unionpay/). The Power of Siberia pipeline, which will help ship $400 billion in Russian natural gas to China, is ahead of schedule. Its sales too can be conducted in yuan-ruble currency swaps, thus circumventing Eurangloland’s desperate and failing economic and financial sanctions on Russia. Sanctions are like poking a stick in the Bear’s face. It just pisses it off, makes it meaner and more resourceful (https://oilprice.com/Latest-Energy-News/World-News/Power-of-Siberia-Pipeline-Ahead-of-Schedule.html). The future is looking bright for Sino-Russian cooperation. Prime Minister Medvedev, who has met Xi Jinping five times in as many years, also announced yesterday, during their chat that trade between the two Asian giants is already up 35% in 2017 (https://www.telesurtv.net/english/news/China-Russia-Trade-Grew-35-in-First-Half-of-2017-Medvedev-20171101-0008.html). Wow, what a novel idea for the capitalist West. Do peaceful, mutually beneficial trade and exchanges together, without invasion, occupation, destruction, extraction and exploitation. Who would have thought? So, what is Western empire doing to better the world, increase cooperation and international commerce? What else? Collecting Russian DNA, to create a chemical or biological weapon that only affects people of Slavic origin (https://www.rt.com/news/408274-putin-bio-samples-harvesting/, https://www.paulcraigroberts.org/2017/11/01/washingtons-barbarity-reaches-new-heights/ and https://www.paulcraigroberts.org/2017/11/03/collection-russian-dna-us/). Americans can now add to their designer drug fad another sure killer: designer biowar genocide. The United States has a long and terrifying history of using chemical and biological weapons, including on many of its own citizens. No other country in history has used and continues to use chemical and bioweapons as much as America. Remember the supposed Ebola outbreak? The US military owns the patent on the virus for a reason. It’s all spelled out in thoroughly researched, horrifying detail in book #2 of The China Trilogy, China Rising – Capitalist Roads, Socialist Destinations(https://ganxy.com/i/113798/jeff-j-brown/china-rising-capitalist-roads-socialist-destinations). Not to mention, the US’s blatant use of bioweapons during its Korean War genocide (http://chinarising.puntopress.com/2017/07/29/americas-big-lie-about-bioweapon-crimes-in-korea-tom-powell-on-china-rising-radio-sinoland-170729/ and http://chinarising.puntopress.com/2017/08/19/japan-admits-bio-and-chemical-weapons-use-in-wwii-when-will-the-us-come-clean-china-rising-radio-sinoland-170819/). Genocide, chemical and biological weapons are as American as lethal apple pie. No surprise, America’s mass murdering is race and class based, with 99% of the victims being dark skinned and/or poor. In the West’s Worldwide Wehrmacht colonial manual, racism is classified as an extreme sport (http://chinarising.puntopress.com/2015/10/01/slavs-and-the-yellow-peril-are-niggers-brutes-and-beasts-in-the-eyes-of-western-empire-the-saker-44-days-radio-sinoland-2015-10-1/). If Eurangloland can’t wipe out its perceived enemies with toxic nerve gas and Slavic anthrax, there is always the nuclear holocaust option, which is a real hot button issue (like the pun?) for the elites’ extreme psychopathic set, which includes all of them. Remember in the West – a-teeeeeeeeeeen-HUT – every option is always on the table, 24/7, full spectrum dominance. Roger that, Buzz Lifekill. Not taking any chances, former deep state puppet Barracks O-Bomb-A was ordered by our owners to print $1,200,000,000,000 to “upgrade” empire’s nuclear bombs and missiles (http://aviationweek.com/defense/us-nuclear-modernization-worth-12-trillion). Just think of the trillions of dollars that will be brazenly stolen, as America’s military contractors literally haul off the loot to island tax havens around the world – on pallets – transportation provided by military planes, of course, to share with all their cronies in Washington (http://www.sfgate.com/news/article/Military-waste-under-fire-1-trillion-missing-2616120.php, https://www.stripes.com/blogs/stripes-central/stripes-central-1.8040/u-s-has-lost-sight-of-cash-from-70-billion-sent-to-afghanistan-inspector-general-1.149731 and https://www.theguardian.com/world/2007/feb/08/usa.iraq1). Hey, stand tall and be proud, Westerners. It’s what makes your plutocratic “democracy” and capitalism so great – for the handful of thieves running their vampire Ponzi scheme on your behalf – NOT (http://thesaker.is/on-the-meaning-of-the-word-democracy/). No wonder the Chinese, Russians, Iranians and Co. are not exactly mesmerized by the West’s “Shining Capitalist Beacon on the Hill Exceptionalism” propaganda poppycock. That hocus pocus drug quit working a long time ago. In any case, they’re too busy building a better, fairer and more just 21st century for all of us. Wow, what a novel idea. Who would have thought? To celebrate the Anti-West and its commitment to working hard for the future of humankind, let’s get pumped up with some rocking, hand-clapping, gimme goosebumps blue-eyed soul, by the late great Dusty Springfield. What a voice. What a talent. She made it look effortless, with one-tenth of today’s sound engineering. Hey, Beyoncé and Britney – yeah you. Dusty sure as hell didn’t need any lip syncing! JEFF J. BROWN—i Jinping’s historic speech and the giant “F.U.” to imperial capitalism during the Communist Party of China’s 19th Congress last week seems to have emboldened the Anti-West to new heights (http://chinarising.puntopress.com/2017/10/29/october-18th-2017-is-world-cd-day-when-baba-beijing-declared-war-on-western-capitalism-china-rising-radio-sinoland-171029/). Mind you, it’s been building up for some time.